Kevin Clark loves the art of oral advocacy and it shows. Kevin has successfully argued hundreds of motions and tried several jury trials in state and federal courts throughout Alabama and across the country. He is a frequent speaker at national legal conferences and seminars hosted by the Defense Research Institute (DRI), The Network of Trial Law Firms and other legal organizations. He also regularly speaks for local schools and civic organizations, and routinely preaches for churches across the country. Kevin’s legal practice spans a wide variety of civil litigation matters, including catastrophic injury, product liability, toxic torts, employment discrimination and consumer fraud. Kevin also has significant experience defending clients in class action litigation. In addition to litigating cases, he provides training and consulting services for his employment law clients. Before joining the firm, Kevin clerked for Judge Bernice B. Donald of the U.S. District Court for the Western District of Tennessee. The experience of researching legal issues and writing opinions allowed him to further refine and hone the research and writing skills he developed in law school. Moreover, the opportunity to consult with a federal district court judge about the lawyers appearing before her helped Kevin develop an appreciation for the intangible aspects of persuading judges, communicating with courts and portraying his clients in the most favorable light during litigated disputes. 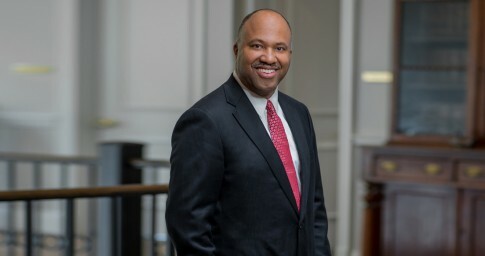 Kevin is a member of the National Black Lawyers Top 100, a national invitation-only professional honorary organization. He also is a Fellow in the American Bar Foundation, the Alabama Law Foundation and the Litigation Counsel of America. In addition to his legal practice, Kevin is active in several national and local legal associations. He has been very involved with DRI, which promotes the interests of the defense bar, and has served on many committees within the organization, including his service as chair of DRI’s Toxic Torts & Environmental Law Committee. Kevin has also been active in supporting his alma mater. He served on the University of Tennessee Alumni Association’s Board of Governors from 2004-10. He was elected to serve as treasurer for the University of Tennessee Alumni Association (UTAA) for the 2006-07 fiscal year. In addition, he served on the Executive Committee for the UTAA and the UTAA Strategic Planning Steering Committee. Kevin is a proud husband and father of three, including a set of fraternal twins.